The landmark was reached in style. 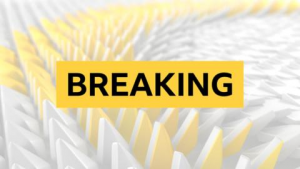 Ronnie O'Sullivan became the first player to compile 1,000 professional centuries and, in the process, wrapped up the match to win the Players Championship in Preston. "It is a phenomenal achievement when you set a milestone like this," seven-time world champion Stephen Hendry told BBC Sport. "This will be a special one for Ronnie because it is about the way you play the game of snooker and the buzz of making a century break. 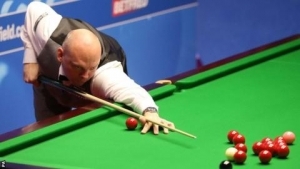 "His cue ball control is better than any other player. He is in a different league when it comes to positioning the white and that the art of break-building." 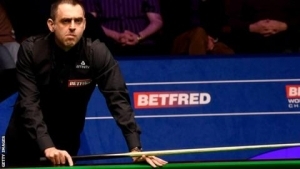 With five World Championships, seven UK Championships and seven Masters titles, O'Sullivan has won more BBC events than any other player - so how do the breaks stack up and will the feat ever be repeated? BBC Sport breaks down the numbers. O'Sullivan has played 1,257 matches and averages 0.79 centuries per match - the best average of anyone who has played more than one match. China's Ding Junhui has the second best average at 0.64 centuries per match, followed by Neil Robertson with 0.63. 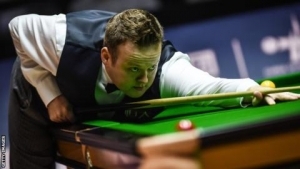 The Australian former world champion, beaten by O'Sullivan in Sunday's final, is the only player to make 100 centuries in a single season - 103 in 2013-14. 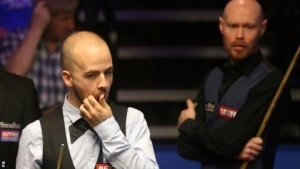 Hendry is next on the list at 0.61 and Englishman Judd Trump is at 0.6. O'Sullivan has played 10,957 frames since turning professional, winning 9.05 of them with a century break. 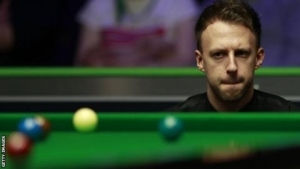 But fellow Englishman and current Masters champion Judd Trump is not far behind, winning 9.01 of his frames with a ton. 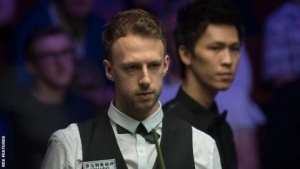 Hendry said: "Judd Trump is a lot younger than Ronnie and is almost on 600 centuries, but Ronnie will set records that will be very difficult to overcome. "There are lots more tournaments to play in so more opportunities to make those century breaks. "Ronnie will not be the only one to reach 1,000 centuries, but it will take the others like Trump longer to get there." Last season was O'Sullivan's most prolific, seeing him compile 74 centuries en route to a record-equalling five ranking titles in one campaign. His lowest return in a season came in 2012-13, when he sat out the season and played in only the World Championship. Remarkably, despite the lack of match practice, he won it, making 13 centuries during the tournament. 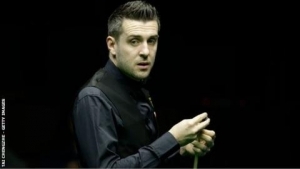 Six of those came in the final against Barry Hawkins, his highest return for a single match, while his 166 centuries overall at the Crucible Theatre is more than any other player. 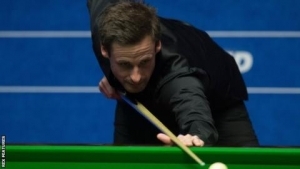 "Without a doubt, he has another world title in him," said Hendry. "You see the way most of the other players are rolling over against him - a lot are beaten before they even get on the table. "That is half the battle, so if you go to the Crucible with that advantage over most of the field then of course you have a chance of winning more." Another category in which O'Sullivan leads the way is maximum 147 breaks. He has 15 as a professional, followed by the retired Hendry who has 11. Hendry's fellow Scot John Higgins is the closest challenger who is still competing - he has nine. At the 2014 Welsh Open, O'Sullivan clinched the tournament in style, making a maximum to win the match against Ding. 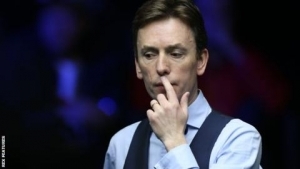 He made most of the break with his right hand before switching to his left, potting the black and saying afterwards "this counts as a left-handed 147". So how many more centuries can O'Sullivan make? 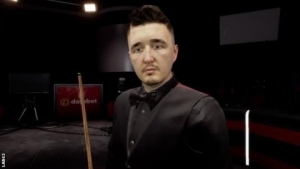 Hendry said: "Ronnie says he will carry on for another 10 years so if he does then you are talking about another 300-400 centuries that he can possibly make. "He might make 10 more maximums in that time, you just don't know how much more he will achieve. "He is hungry for success and enjoys being the best player in the world, even though he is not ranked there. He is going to dominate for years to come." 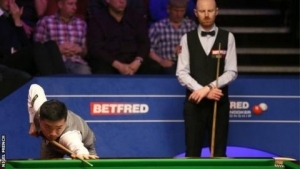 Regarded as probably the greatest break in the sport's history, O'Sullivan rattled in a Crucible maximum in a record-breaking five minutes 20 seconds in his first-round match against the outclassed Price. No-one - not even the 'Rocket' himself - has come close to beating it. 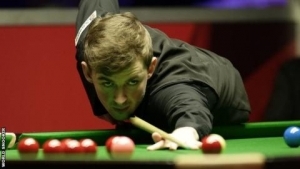 In the unlikely surroundings of the Glades Arena in Kidderminster, O'Sullivan achieved the noteworthy mark of his 500th competitive century, as he rattled in a 113 en route to a 5-1 win over the Australian. 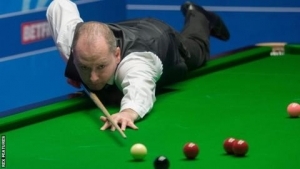 Two more centuries swiftly followed as O'Sullivan wrapped up victory in style.